Population, 1,154. Elevation 3,304. A few miles southeast of nowhere, so its easy to find. 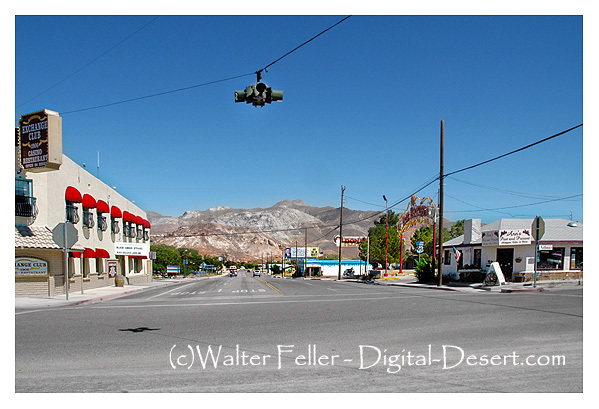 Nowdays, a gateway to Death Valley, Beatty started out as a supply station for the Bullfrog Mining District.